Environmental damage dealers are Damage Dealer components that have Always On enabled. They don’t need to be activated by an action (i.e. they are active all the time), but still require a combatant that knows the used ability. We’ll create a small battle event that spawns a prefab (particle effect) when damaging a combatant. Open the ORK Framework editor and navigate to Events. Click on New Battle Event and change the following settings. The trap will spawn a prefab on the target, so we’ll need to add it first. Select Sparks2 or another prefab that you want to use. Sparks2 will play quick spark particle effect. We’ll spawn the prefab on the target. This will calculate the damage of the ability. We’ll stop the particle effect shortly after spawning the prefab to create a nice spark effect. This will stop emitting particles. We’ll destroy the prefab after some time. We stop emitting particles before destroying the prefab to prevent the particles from suddenly being destroyed. And that’s it for the event – click on Save Event and save it as trap.asset in Assets/Events/Battle/. The trap will do damage using an ability, so navigate to Status > Abilities, add a new ability and change the following settings. If you want the trap to damage all combatants, you can select All. Environmental damage dealers are animated in the Damage Dealer Settings of the ability instead of the Battle Animation settings. Change the settings of the already added battle event. Select the trap event file we just created. Enable Field and all battle system types. The trap should do damage all the time. 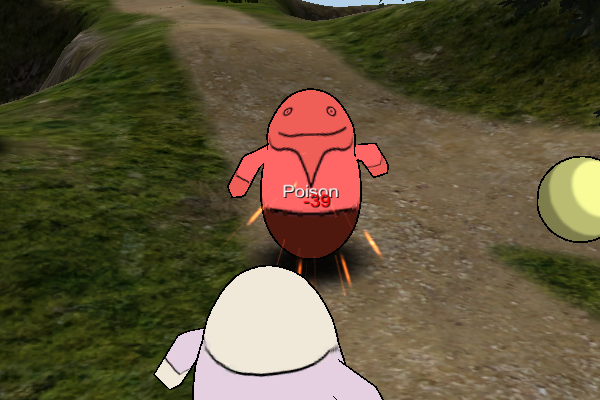 The trap should do 50 damage to the HP and add a poison status effect. Click on Add Value Change to add the status value change for the damage to the target. Click on Add Status Effect to add a status effect change. In order to use the ability, the trap needs a combatant that can use the ability (i.e. he must know it). While you can use an already existing combatant, it’s best to create a new combatant only for traps and other environmental damage dealer uses. Navigate to Combatants > Combatants, add a new combatant and change the following settings. This combatant will never be spawned in the game, only used by damage dealers for calculations. Currently we only use this combatant for a trap that doesn’t use the status values of the combatant, so we can ignore these settings. When you later add more environmental damage dealers and do damage based on stats, you can come back here and set it up the way you need it. Using Status Development, you can even create different levels of your traps. The ability used by the environmental damage dealer must be known to the combatant and mustn’t be an attack or counter attack. Click on Add Ability to teach the ability we just created to the combatant. Name the game object Trap and add the following components. Set the size to an appropriate setting. I’m using X=2, Y=2, Z=2 – since you can change this in the individual instances of the prefab, it’s not that important now. This will make the damage dealer an environmental damage dealer. We will select a combatant here – otherwise, the damage dealer will search for a Combatant Component in case it’s part of a combatant (e.g. for contact damage). 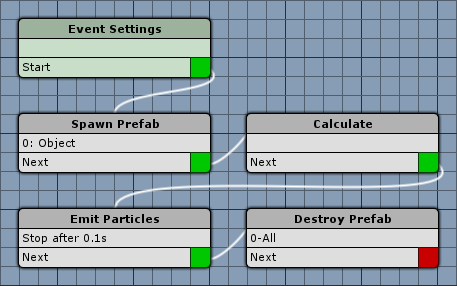 And that’s it – make the trap a prefab by dragging it from the scene hierarchy into the project view. Now you can use the trap wherever you need it in your game by adding the prefab to the scene – you can also use it in the event system to spawn new instances of the trap. If your trap isn’t working, make sure your player combatant has a Damage Zone set up on it’s prefab. A damage dealer can only harm game objects with a damage zone. Also, make sure the combatant you’re using for the trap isn’t dead, i.e. set the HP/health to a value that wont cause death in the combatant’s status settings.